“New Zealand has a unique opportunity to create competitive advantage by fully exploiting early investment in UFB infrastructure. It’s now time to take off the blinkers and agree how best we take the step up to the future,” Stephen Selwood, Chief Executive NZCID. “While there has been a lot of discussion recently about broadband, the very nature of the way the internet functions is being seriously questioned globally – the NetHui will be where the industry debates those issues in a New Zealand context,” Brett O’Reilly, CEO of NZICT. “It is crucial that the people of New Zealand work together to plan for our collective future, and the direction and speed in which we develop our internet capabilities and reach is an important component of that. NetHui is providing an opportunity to be embraced, for people from all sectors to get together to engage in productive debate and shape that future,” Rick Boven, Director of The New Zealand Institute. The New Zealand Maori Internet Society is an incorporated society that aims to promote Maori on the Internet. The Ministry of Economic Development works to ensure New Zealand is one of the best places in the world to do business, and to make a real difference to the country’s economic performance. “MED welcomes the opportunity provided by NetHui for community and business participation in helping ensure that the Internet is a safe an secure place for New Zealanders to work, learn and play and looks forward to taking part in the process,” Brad Ward, Manager Communications and IT Policy, MED. Creative Commons aims to establish a fair middle way between the extremes of copyright control and the uncontrolled uses of intellectual property. It provides a range of copyright licences, freely available to the public, which allow those creating intellectual property to mark their work with the freedoms they want it to carry. “Knowledge is the most useful and renewable resource we have. The Internet is a means to mine and distribute it freely and to all, leading to the propagation, not exhaustion, of its stores. Commons Aotearoa New Zealand supports the initiative in shaping this future together. Commons Aotearoa New Zealand supports the initiative to maximise our Internet culture,” Jane Hornibrook, Public Lead, Creative Commons. 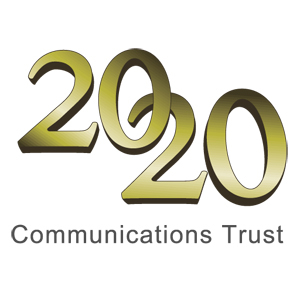 “2020 Communications Trust is a strong supporter of the NetHui event. New Zealand’s future is critically dependent on information and communication technologies (ICTs), and the economic and social results that can be achieved through widespread use of the Internet,” Earl Mardle, Chair, 2020 Communications Trust.